An associate at DregerLaw, the focus of Ms. Brower’s practice is mainly in the areas of litigation, real estate, corporate transactional law, family law and commercial matters. In those areas, she has worked extensively in matters involving both commercial and professional liability litigation; evictions; collections; commercial property acquisitions, sales and transfers; lease and contract negotiations; real estate transactions and corporate matters. Prior to joining DregerLaw, Ms. Brower’s practice focused mainly on real estate and commercial transaction matters. Ms. Brower also served as an Attorney Fellow with the Illinois Department of Child and Family Services. Ms. Brower earned her J.D. in 2010 from John Marshall Law School. She is admitted to the bars of the State of Illinois and the United States District Court for the Northern District of Illinois. 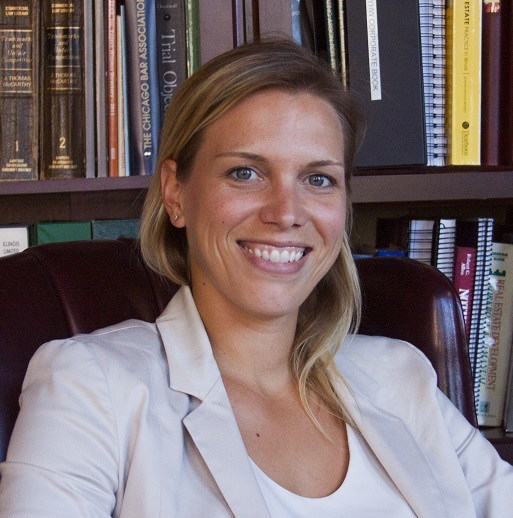 While a law student, Ms. Brower was a member of the Trial Advocacy and Dispute Resolution Honors Council, was a student extern at the Illinois Attorney General’s office, and clerked for Judge Alexander P. White in the Law Division of the Cook County Circuit Court.